BitcoinTalk is a like a noticeboard where people take part in the technical details and the development of Bitcoin software and discuss with each other. Though, people who’ve passion in Bitcoin mining, trading with Bitcoin, and in the budgetary of Bitcoins can participate in this forum. Reddit Bitcoin community is one of the famous social website. A person called Atlas founded this community in September 9th 2010. However, it is the reliable place among several Bitcoin communities in terms of news, community feedback, and updated information about various companies. CryptoCompare is basically founded in November 2014 and released to the public in late July 2015. This platform also provide best information in showing the most accurate live prices, charting and market analysis from the top cryptoexchanges globally. 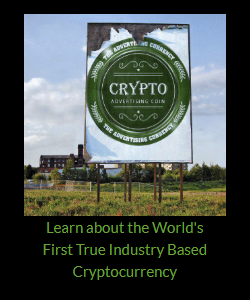 Another community is most popular which is Cryptocurrency Talk. The major perception is to provide sufficient knowledge with the news, information, and discussions about the cryptocurrencies. According to a new investment thesis released by Grayscale Investments, the value of Zcash (ZEC) could reach over $62,000 by 2025, assuming that the coin will represent 10 percent of all offshore wealth by that point. Zcash is an anonymity-focused digital currency that uses zero-knowledge proofs to verify the validity of a transaction without revealing its contents, giving it appeal as a “Swiss bank account in [your] pocket.”, as Grayscale phrases it. Grayscale Investment specifically manages investments in digital assets, overseeing both Bitcoin (BTC) and Ethereum Classic (ETC) funds, the latter added to their portfolio in April 2017. Calls for cryptocurrency regulation were a resounding theme at the World Economic Forum in Davos last week.The world’s most prominent financial institutions remain wary of going all in on cryptocurrencies, amid fears of future regulation leading the market to tank. Governments around the world have signaled their ongoing or imminent intent to legislate and regulate cryptocurrencies around the world, and it seems the largest banking and financial firms are waiting for more clarity before they forge ahead with plans to enter the market. Why is Bitcoin Worth What it is? The Korean crackdown was a paper tiger and debunked by the countries highest authority, but bad news leaves its mark on such a speculative market. Regardless, today’s price proves that negative press has a big role to play in the way the market moves. And the flipside of that is so does positive news.